Good Saturday morning ya'll!!! Hope you have some crafty plans for this weekend. Today I am presenting the daily project at Exploring Cricut and More. 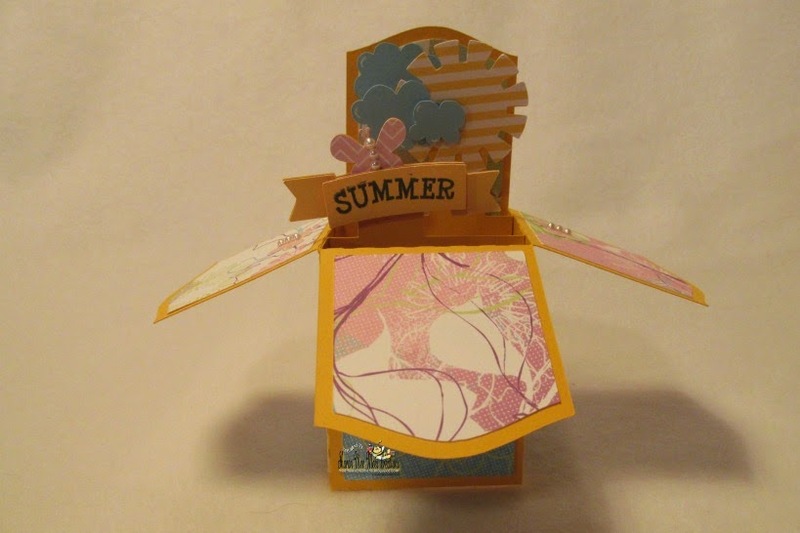 I decided to keep with our challenge theme and do another 'Summer' project. They added some more box cards by Lori Whitlock to the Silhouette Store and of course I had to buy all of them. I'm so loving these cards!!! 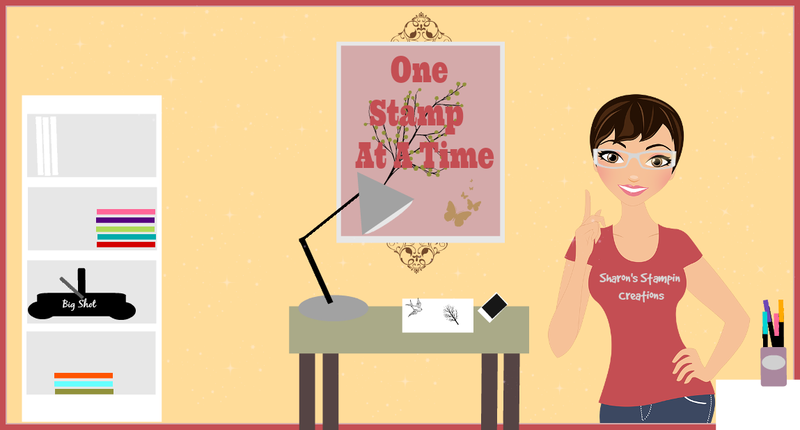 If you are a regular visitor here at my blog, you might have noticed that. This one is called Summertime and is file #59706. All of the cardstocks and papers are from my stash. I seem to be eyeing all papers with the thought of if they would look good on a box card now a-days!!! I found these and thought yep, they would work for summer. I love the sun and the little butterfly. I cut an extra cloud and added it to be back and two extra butterflies and added them to each side. I haven't put a sentiment other than 'Summer' on the banner. I will when I decided how I am going to use this one. 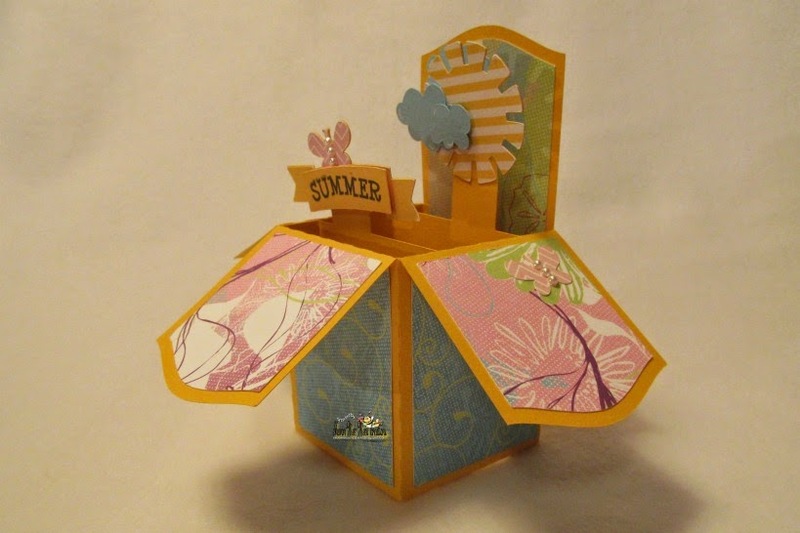 The 'Summer' stamp is from the 'Fun in the Sun' set from Mary-Cardz TV Stamps. That is it for me today. I sure hope ya'll have a wonderful weekend. Now, if you haven't entered our challenge this week, you still have until 10pm, EST, tonight to enter a 'Summer' project. Also, I sure hope you have been checking out the daily projects. If not, then you have missed some awesomeness for sure!!! What a sweet and pretty card I love it. You really found some beautiful cardstock/papers and the colors are so lucius you really did one impressive creative job!! So super cute and fun! Love the box card design! Actually, I am a total sucker for anything Lori Whitlock makes….I think I've bought every Echo Park paper pack she has designed! Yours looks fabulous! 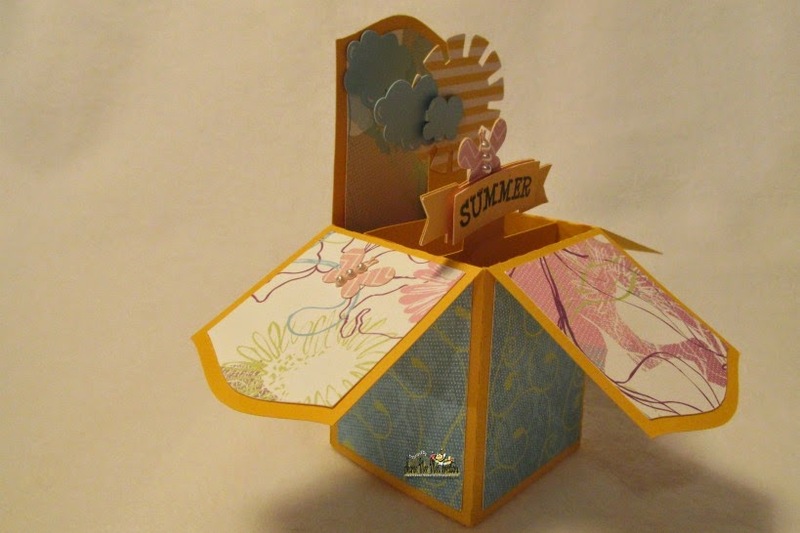 This card is lovely - feels like summer :-) The more I see this type of card, the more I love it and the more I'm tempted to try one. I don't have a silhouette, so the prospect of cutting by hand is a little daunting, but I really love them! Thank you for the inspiration!